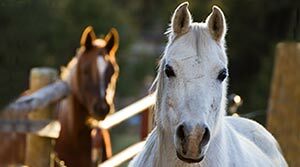 From the beginnings of our retreat, the masters told us Horses would be a very important aspect of the ascension retreat. We did not know at that time, just how important these amazing, animals would BE for all who were to be blessed by these four-legged teachers. Alladin or Al-La-Din (doorway to heaven) was the horse who truly anchored this ashram over the years we were blessed by his presence. HE showed us early on how He had the ability to go back and forth between hu-man, and animal form, and what his completions were this lifetime with us. HE had an indominatable spirit, loved to run, loved every day, wise, and deep seeing into people, and found most people too unconscious to pay attention to. Through him we came to appreciate the depths of knowledge held in telepathic rapport, which mostly should not be put into the mere language of spoken words. This telepathic rapport is the best way to communicate with enlightened BEings, and when experienced through animals helps the two-leggeds remember how to reawaken this soul knowledge. Most people with horses do not have a clue regarding their own soul, thus are unable to connect to the soul of horses or any other amazing animal. Alladin was able to communicate with us through dreams when we were travelling, and would show us how the energy was being held or not held on the retreat. He became our most trusted ally in holding the space of purity no matter what. He was a teacher to all our other horses, we called him a Devic king, and knew he should only be ridden by those of royal demeanor and sensitivity. He helped bring the horses into their true power, awaken their spirits, and blend fully and consciously with us. There could have not been a greater blessing than he for this retreat, to activate our horse ashram. Virochana was asked once why we spend more time with horses than students and he replied, “because they are more advanced spiritually…” Yogis always prefer to BE in darshan with other Yogis!! We always said Al-la-din would never die, as he was ascended, but little did we realize that on his passing at the age of 27 years, he would demonstrate to us that truly he was beyond death. When that day arrived, HE transferred effortlessly into the body of a Muni Baba in the Himalayas. That was May 22nd 2011. Before he passed he initiated our young foal Starburst, and so the lineage stays strong thru all our wonderful horses. El Morya, who knows him well came with some of the 40 liberated yogis of Hemkund Sahib, and they helped him make this transferrence. The Magical White Horse is no more, and can never be replaced, his last gift to us was that, HE bought forth the dragon line from the Himalayas, and opened the door for our family of Himalayan Yogis to come and go gracefully into the retreat. We stayed intimately with this extraordinary transference for many days, know where he is, and believe one divinely ordained day we shall BE with this great soul again. Al-La-Din will always be with us!! From the beginning St Germain and other masters made it known that horses would be an integral piece to add to, hold and protect the ascended fabric held within our land. That they would always be teachers to those who are ready to receive, and that the horses that came to us would be very special, and ready to evolve with us and assist us. From the moment I saw the land I knew, now I could have a horse, my life long desire in perfect timing could be fulfilled. This land is horse country with endless riding possibilities. I had put riding on hold for 12 years as my spiritual journey lead me many places, for training and experience, without and then with Virochana for the first 10 years. We built the horse stalls first, so our three first horses could be with us in their new home. LYRIC our Trakhener mare who was mine, ALLADIN our Spanish arabian, who is a Devic king and who was El Morya’s falcon in one of his past lives, and KHALIBYER our young Crabbit arabian, full of love and light. All three from great blood lines, and all great blessings. People in general don’t understand that horses could have been in human form. Alladin showed Virochana a couple of his human lifetimes, and as they are held in an enlightened field their consciousness is expanded just as a two-leggeds is. Sometimes Virochana and I feel, our horses have evolved faster than the students. They have no resistance and aren’t cluttered with non-essential egoistic behaviour. Practising “horse yoga” has become an additional practise to a few who have made Crestone one of their homes. It is natural for us yogis who remember our times in earth cultures with horses as family. I feel sorry for the two-leggeds who have lost this sacred connection to themselves, their past lives, and our beloved earth spirits. In April 2006, we welcomed with great happiness another beautiful arabian Cayla Bea into our horse family. she is the perfect horse, 10 years this summer, excelling in beauty, gait, flexibility and, another highly advanced soul/being. Her breeding is polish and her grandfather a champion from Poland. Riding her is a honour and as the “boss”mare she keeps the two boys on their toes.. This summer 2009 we will breed her to a Spanish/crabbit stallion keeping the 3 types of arabian, in the foal. This ensures many many more years of joyous riding, fun. As a practitioner there is much to learn from horses, about strength, blending and multi dimensional relationships, thus there will ALWAYS be horse masters on our retreat. After all Colorado is “horse country”. Below is what I wrote to express my feelings for my beloved Lyric, after she passed thru into Venus in January 2005. I see you now playing freely, joyously, in the venusian fields. My heart was and is always ONE with you– our spirit joined by the time we shared. You came to us as our first horse already wise in years. You bought so much to me at that time with your grace gentleness and beauty. You helped me to grow in strength, fearlessness, and courage,,a sense of adventure, and you helped me claim this earth as my home. Divine mother shone thru you in all her glory- and all who rode you were blessed and humbled by this. When we met I promised I would bring you to horse heaven. that was so easy, for the masters had already chosen this blessed land of Shambhalla, to be opened unto us, and here we all lived together You, Alladin, Khaliber, Virochana, and I.. This symphony of perfection allowed your passing into Venus to be victorious and gracefilled..
Now the bones of you as a horse remain on this sanctuary, continuing to add to the blessings of Eternal perfection. and may we serve to hold a brighter future for our ascended family lineage..
JUNE 23rd 1980 – January 13th 2005. He is our latest addition the first foal born into the retreat May 9th 2011. His mother is our mare Kalea Ma aka Cayla Bea..
His father is a Colorado halter/endurance champion many times, a beautiful calm advanced BEing known as Fantizan/Zani. We knew Starburst would be special, and HE is..
A gorgeous perfect looking chestnut like his mum with 4 white socks and a big starburst on his face. He is of calm disposition, very confident, full of joy, lots of energy to come out and run with us and his herd..
Every day with him is fun and sacred. He has come out with us with the others from the moment he was big enough to keep up. One of the herd and the special baby they all keep a closeness to like true family. The big ones caring watchful, and full of love. His mother the perfect mum, now he is weaned and one year, she has got some distance from him, so she has come back into her own full strength, with added wisdom and grace. We love the process of watching him grow, and knowing HE is an advanced Yogi, come to help the horse Ashram of Sacred Mountain. The Ashram that was headed by Al-La-Din, who stayed only a few weeks after Starbursts birth, then transferred on into a human yogis body without death!! All our horses have sacred spiritual destinies, transferring from Hu-man to animal spirit forms, back and forth as they evolve..All Blessed by this Eternal Light family of many masters in the ONENESS. We pray for the ongoing protection and healthy joyous well Being for our Horse Ashram..
“Tayane” is a big beautiful solid black Anglo/Arabian. He was born with the name Crestone, born into our bloodless/sacred valley of San Luis. He has had a successful career as a show jumper, and was loved and ridden by a wonderful owner. The owner gifted him to us, as he is retired from jumping. Tayane was the name Virochana gave him, after getting on his back for the first time. We both saw he was a medicine horse, carrying great medicines of wisdom, strength, loyalty, and a huge heart. His presence is full of power, and he showed me he had been an Apache warrior, and a horse for the Apache. He remained in the sacred valley as he holds great love/connection with his ancestors, and his spirit family of the mountains. His sacred mountain is White mountain, or Mt Blanca is what the white 2 leggeds call it. Here in this mountain Tayane speaks with his spirit family. He was concerned what tribe we belonged to, and was happy when I told him we are of the Oneness and respect/love the earth and the spirits of this light. Virochana rides him mostly so we consider Tayane, Virochana's horse. They love to fly like the wind together, great speed with NO bit. Tayane is stable calm, and great strength. Tayane went thru a major rebirth after a couple of weeks with us. He coliced from the sandy soil, and we knew he was very ill. I felt his gaurdian angel come thru to give him assistance, and when Tayane came out of it I said YOU have a very strong will; Tayane replied it was not my will that got me thru this! He had been initiated into the Light of Gracefilled ascension. Since then Tayane has been growing in his spiritual awareness thru the levels of subtle power, how to deal with certain energies, and how to keep growing as a soul. When Al-la-din passed he became overwhelmed for a while, knowing he had to step into Al-la-dins shoes as the leader/stallion energy of the herd. It is always an honor to share intimately with our horses evolution the continuum with them as souls. They always remind us of our own sacred continuum and how we should proceed with grace and not accumulate more unnecessary karma. It is a process of letting go and remaining in the present with confidence, happiness and gratitude. Horses know how to meditate the perfection, they are inherent teachers for the 2 leggeds, their connection to the earth and all that is important is natural. All they need is the conscious reflection of yogis as their caretakers, to show them the complexities of practice and rebirth. Now Tayane has realised he has choice for his next birth in the ascended light, he is considering deeply where and what form that shall take. WE 2 leggeds on sacredmountain are blessed to be part of this horse Ashram. I remember when we were looking at getting a new horse sometime earlier this year around March. She was the last candidate that we were going to look at amongst 3 others. Little did we know she was destined to join our sacred horse ashram here in Colorado. Her name is Moonlight. I knew from the second I saw her that she was the one. She was stunning in the arena with her glowing tail dragging on the ground as she showed us what she had learned so far. In the light, her coat would change into a reddish, golden color and in the shade she looked almost black. She was perfect in every way. As, I stood by her she approached me and put her head right next to my heart as to say ‘take me home, I choose you’. Moonlight is a beautiful, 6 year old Polish Arabian, bay mare with three white socks and star on her forehead. Her bloodlines are related to Kalea Ma our other polish mare in the herd. A serendipitous find and divine synchronicity. She officially joined our herd here in April of 2012. She has made great progress in blending into the herd with our four other beloved horses and growing in her riding ability. She has made a playmate with Starburst, the youngest horse here, and even one of our geldings has fallen in love with her. 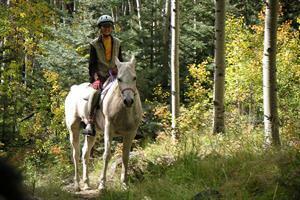 Every one of the horses in her new family has helped her on the path of learning. There were a few things that would change for her here on the land. She wasn’t quite sure what to do with carrots and apples at first. They would just sit in her snack bowl for someone else to grab. Now, she loves all snacks. She’ll even share a green smoothie with you! We have built a jumping arena and she seems to like it quite a bit. From day one, she has gone through the jumps with little fear. She used to be nervous crossing a stream or creek, sometimes trying to jump or leap across. Now, she will cross at a walk and even stand in it. During the winter her previous owners would keep her inside heated barns and covered with a blanket. She had not yet developed a winter coat. As we do not believe in blanketing, she is having her first winter outside this year. Her coat is coming in nicely and she is adjusting with grace. Through all of these new adjustments she has grown in confidence each time she is given the opportunity to work through a new obstacle. With this new environment that she is in, she now has the chance to fully know and come into herself as a being from the stars. In every step towards her growth in her greater awareness, I can see that she has amazing potential. This is why she was destined to come here, to this place, to learn these things. She has been a wonderful teacher for me as far as what it takes to grow along side a young horse. Young horses like her, high energy and full of endurance, need a lot of time and attention spent together on the ground and in the saddle. Moonlight being stable, and willing makes her a fast learner and with her sweet demeanor she would never hurt a fly. She has come to me in many dreams, shared some of her history and expressed her desire to be with me. With this trust she has, it has allowed our relationship to grow into a precious partnership and bond that could never be replaced. More and more, she is stepping into a knowing of what is asked of her before it is asked. It’s hard to describe the feeling that I have when I am working with her, but all I can say is that I feel that we have a connection that I have had with her before. One of the Great Blessings of Crestone and our backyard from Sacred Mountain Retreat, in Colorado, is that it is truely Heaven for horses, NO fences and endless miles of wilderness, freedom to just to get on your horse and ride!! Great sand, dirt and trails along and up the mountains, by the rivers, and thru the Aspen&#39;s, pines, pinons, and neighborhood dirt roads. So few people and ssoo much quiet space. <br/> Yoga is communion, the linking of spirit and matter, body soul, connected to the wholeness of Great Mother&#39;s body, air water fire plants soil, all her life abundant everlasting and a gift to us HUman. Energy is consciousness and consciousness is LOVE, we are all that, big and small, finite, infinite.